Due to their massive size and weight, it’s not unusual for people to feel threatened by commercial motor vehicles. After all, the basic design of a truck provides drivers with limited spatial awareness and insufficient stopping power. This can easily lead to a collision that may have devastating and fatal consequences for any passenger car drivers, bicyclists, and pedestrians using the road. 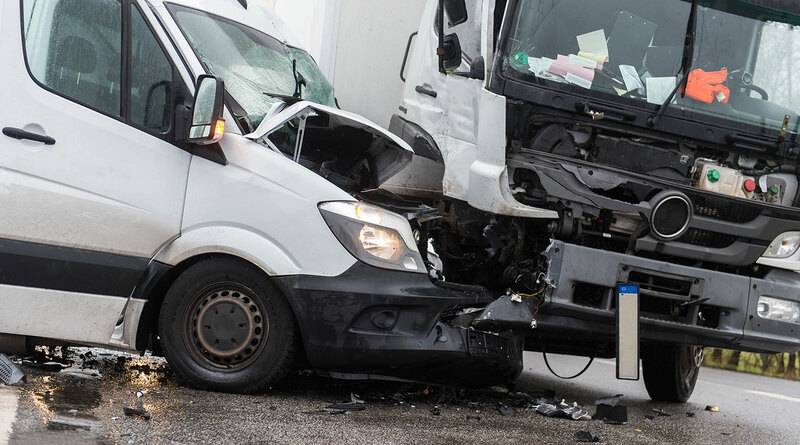 If you or a loved one sustained injuries due to the negligence of a truck driver, contact the Peoria truck accident attorneys at Schierer & Ritchie, LLC. Our experienced legal team has been helping clients secure their legal and financial objectives for over 30 years. We understand the state and federal laws that govern all truckers and trucking companies. Our lawyers also aren’t afraid to litigate against corporate attorneys or insurance companies if it can maximize your claim. We’re available 24/7! Contact our Peoria truck accident attorneys at (309) 839-2024 if you require legal representation. As previously stated, truck drivers and trucking companies are held to extremely strict state and federal laws. If an accident occurs, both parties may face severe legal penalties if a victim sustains injuries or is killed. Unfortunately, trucking companies often pressure their drivers to meet unreasonable deadlines in the name of profit. To avoid angering their employers, truckers may participate in dangerous driving behaviors that lead to preventable accidents. Sadly, it’s estimated that in 90% of all truck collisions, the driver of a passenger vehicle is killed. Filing a personal injury claim can be complicated when a truck driver is involved. Interestingly, this is because multiple parties can be considered liable for a single accident. During your free consultation, we can discuss the circumstances of your accident and help you pinpoint the negligent parties. Truck accident survivors often sustain catastrophic injuries that necessitate ongoing medical treatments and lifelong professional care. It’s not unusual for claimants to file personal injury claims just to ensure they can afford their medical bills and other injury-related expenses. Fortunately, a lawyer can help you secure compensation that covers these expenses and also accounts for any lost wages or loss of earning potential. Without effective legal representation, you could be misled by the defendant’s insurance company. The priority of every insurance company, first and foremost, is to save money. This means that the insurance company may try to offer you an inadequate settlement or trick you into sabotaging your own claim. Both scenarios can prevent you from being awarded the damages your injuries deserve. Don’t accidentally waive your rights to essential damages before talking to an experienced lawyer. Our firm can protect you from these tactics and work tirelessly to ensure that you’re awarded compensation that safeguards your quality of living. Contact Schierer & Ritchie, LLC if you’ve been injured by a negligent truck driver and want to pursue maximum damages. Our Peoria truck accident attorneys have developed aggressive litigation techniques and are willing to fiercely negotiate on your behalf. You can rely on our legal team to handle all the details of your case so that you can fully focus on recovering.